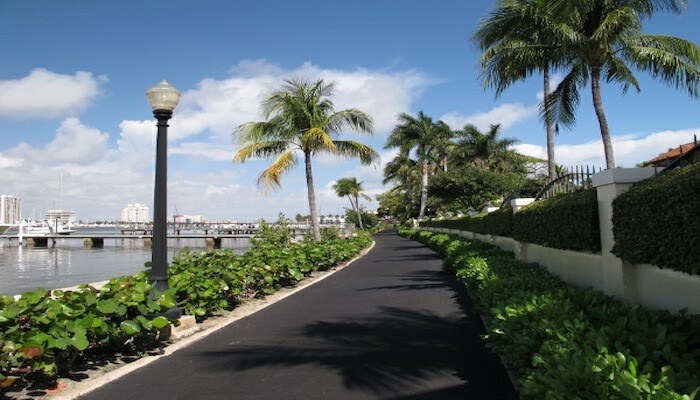 This is a lovely route that explores the northern part of Palm Beach, out to the end of the island, overlooking Palm Beach Inlet. The run north along N. Ocean Blvd. and South Country Rd. features a combination of oceanfront and shaded, palm-lined roads, featuring great water views and spectacular homes. For a great loop, incorporate the Lake Trail for one of the directions. 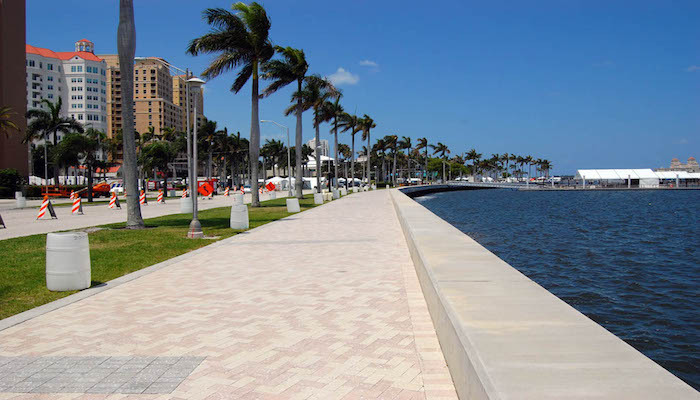 We start near the famous Breakers Hotel, just off the palm-lined Royal Poinciana Way. 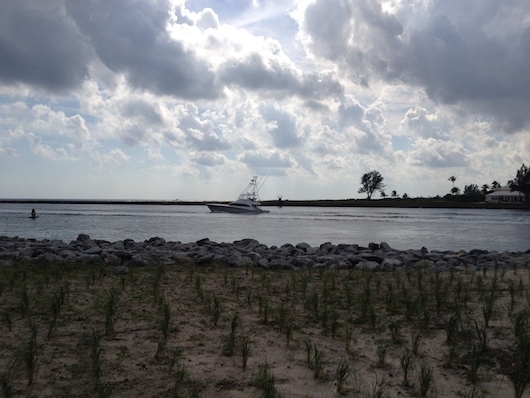 Head east on Sunrise Ave. toward the water, and then head north on N. Ocean Blvd, with great water views, for 1/2 mile. The road turns inland, along the pleasantly shaded and sidewalked N. County Rd., for 1.5 miles, before turning RIGHT on Country Club Rd. to get back to the waterfront along N. Ocean Blvd. Follow N. Ocean Blvd., which alternates between waterfront and slightly inland residential sections, for another ~2 miles to the end, where there’s a lovely overlook across Palm Beach Inlet. For the return, you can retrace your steps, or our recommendation is to make this a loop, using N. Lake Way heading south for 1/2 mile to then join the Lake Trail.